Author Interview: 'The Murder of the Century' When a body washed up on the shores of New York's East River in 1897, the race to solve the murder sparked one of the country's first great newspaper wars. Weekend Edition's literary detective Paul Collins tracks that war's progress in his new book, The Murder of the Century. 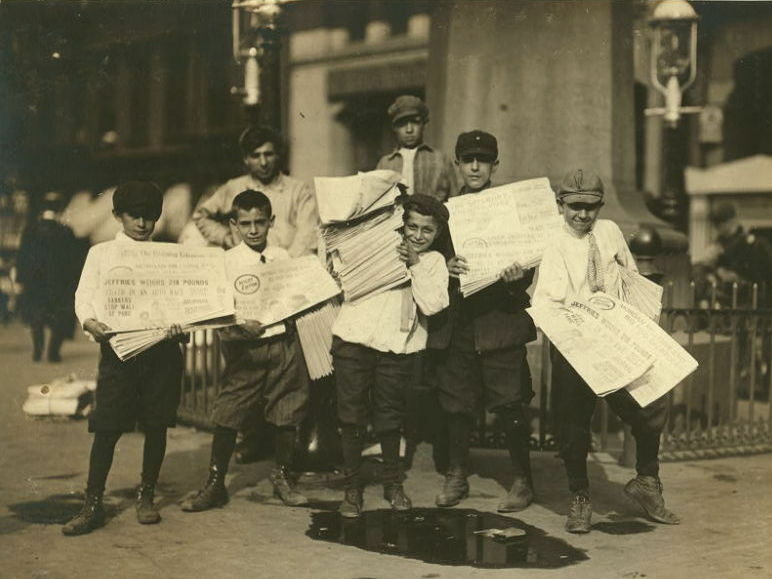 In 1897, New York was a town of many newspapers in which the New York World, the New York Journal, the New York Herald, the New York Post and more competed for the public eye. In summer of 1897, a group of New York kids found a headless torso floating in the East River. At first, the police thought it was a prank being played by medical students, who were known to leave cadaver fingers and limbs lying around just for laughs. But the next day, the lower torso and hips of that beheaded half-corpse washed up along the Harlem River, and it became clear that the wounds were the work of a malicious amateur. Who cracked the case? Who scrambled facts, myth and suspicion through that boiling New York summer? According to Weekend Edition's literary detective Paul Collins, it was Joseph Pulitzer's New York World and William Randolph Hearst's New York Journal, two newspapers that took a summer murder and turned it into one of the first great newspaper wars. Collins tracks the progress of that war in a new book, The Murder of the Century: The Gilded Age Crime That Scandalized a City & Sparked the Tabloid Wars. He tells NPR's Scott Simon that the papers were actually quite helpful in solving the case. He says New York World reporter Ned Brown provided one of the case's big breaks when he noticed an anomaly: The recovered body was very muscular, but the hands were smooth. "It didn't seem like someone who was doing what one would usually associate with manual labor and [Brown] eventually realized that where he had seen that was actually in the bathhouses in New York, with the masseurs who really had to put a lot of physical effort in but they kept their skin quite soft," Collins says. "And he started asking around at some of the bathhouses if any of their employees were missing." In fact, one employee was missing. His name was William Guldensuppe and his death was eventually attributed to his lover, Augusta Nack, and Martin Thorn, a rival for Nack's affections. And while the World managed to provide the first big break, the Journal aided in its first big arrest. "The first arrest in the case was basically attempted by two Hearst reporters who jumped onto a moving carriage on Ninth Avenue," Collins says. "As it turned out, they actually needed a policeman to back them up ... they weren't really that good at arresting people." The struggle to beat the other paper to the story also led to new journalistic practices, many of which are still used today. Take, for example, Hearst's "wrecking crew" or what we think of today as team reporting. "What Hearst figured out was if you sent 10 [or] 20 people onto the scene; if you had artists there; if you had people interviewing members of the crowd — families, any expert that they could grab — you could not only generate one big story, you could generate five or six and spread them across the entire front page," Collins says. 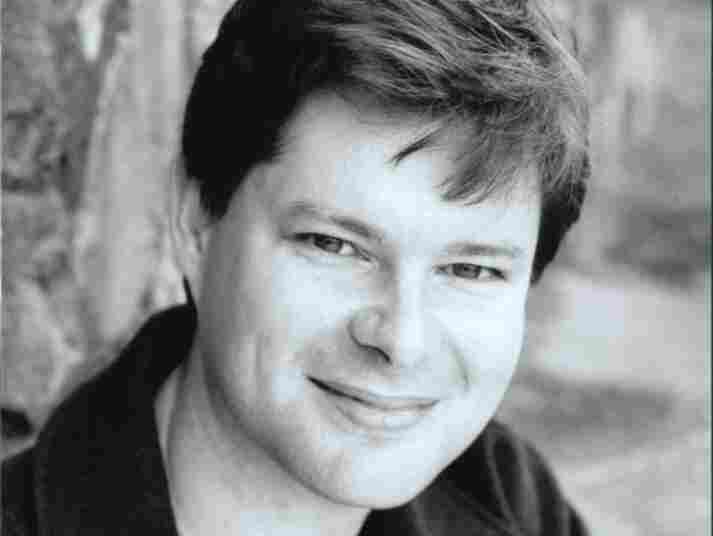 "So he really pioneered this approach of blitzing a story." Meanwhile, Pulitzer was pushing the idea that news could also be entertaining. 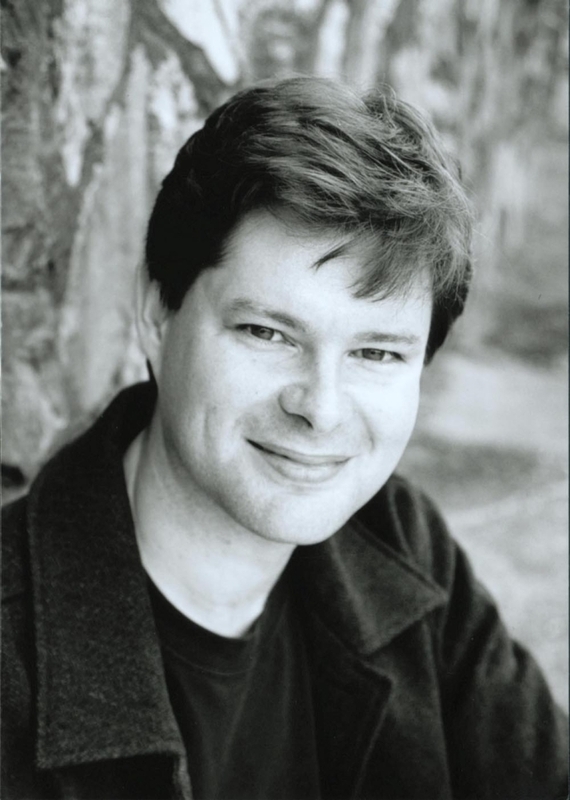 Paul Collins is an assistant professor of English at Portland State University and the "literary detective" for NPR's Weekend Edition. "Instead of running lots of stories on the latest tariff bill," Collins says, "[Pulitzer] would run things about celebrities, about sports, about crime, and he put in things like a comic section." Collins says that because of the innovations and changes of that era, it was in some ways a golden age for journalism. But considering the popularity of yellow — or questionable — journalism, that designation should be taken with a grain of salt. "Yellow journalism actually brought an extraordinary amount of energy and liveliness to reporting," he says. "They took the news and they made it compelling. They actually made it entertaining. By the same token, I think the tragedy of yellow journalism is they took news and they made it an entertainment — and we've had to live with that, too." It was a slow afternoon for news. The newsboys along the East River piers still readied themselves on a scorching summer Saturday for the incoming ferry passengers from Brooklyn, armed with innumerable battling editions of Manhattan's dailies for June 26, 1897. There were sensational "yellow papers" like Pulitzer's World and Hearst's Journal, the stately flagships of the Herald and the Sun, and stray runts like the Post and the Times. By two thirty, the afternoon editions were coming while the morning papers were getting left in stacks to bake in the sun. But there were no orders by President McKinley, no pitched battles in the Sudan, and no new Sousa marches to report. The only real story that day was the weather: oh yes, it is hot enough gasped one headline. The disembarking ferry passengers who couldn't afford lemonade seltzer from riverside refreshment stalls instead downed the usual fare — unsterilized buttermilk for two cents, or sterilized for three — and then headed for East Third Street, where Mayor Strong was giving the dedication speech for the new 700-foot-long promenade pier. It was the city's first, a confection of whitewashed wrought iron, and under its cupola a brass band was readying the rousing oompah "Elsie from Chelsea." Weaving between the newsboys and the ladies opening up parasols, though, were four boys walking the other way. They were escaping their hot and grimy brick tenements on Avenue C, and joining a perspiring crowd of thousands didn't sound much better than what they'd just left. To them, the East Eleventh Street pier had all the others beat; it was a disused tie-up just a few feet above the water, and surrounded by cast-off ballast rocks that made for an easy place to dry clothes. The boys took it over like a pirate's landing party, claiming it as their own and then lounging with their flat caps and straw boaters pulled rakishly low. It was a good place to gawk at the nearly completed boat a couple of piers over — a mysterious ironclad in the shape of a giant sturgeon, which its inventor promised would skim across the Atlantic at a forty- three- knot clip. When the boys tired of that, they turned their gaze back out to the water. Jack McGuire spotted it first: a red bundle, rolling in with the tide and toward the ferry slip, then bobbing away again. "Say, I'll get that!" yelled McGuire's friend Jimmy McKenna. "Aw, will you?" Jack taunted him. But Jimmy was already stripped down and diving off the pier. A wiry thirteen-year-old with a powerful stroke in the water, he grabbed the bundle just before the wake from the Greenpoint ferry could send it floating away. They'd split the loot; it might be a wad of clothes, or some cargo toppled off a freighter. There was no telling what you'd find in the East River. Jimmy dragged the parcel up onto the rocks with effort; the boys found it was the size of a sofa cushion, and heavy — at least thirty pounds, tightly wrapped in a gaudy red-and-gold oilcloth. "It's closed," Jimmy said as he dripped on the rocks. The package had been expertly tied with coils of white rope; it wouldn't be easy for his cold and wet fingers to loosen it. But Jack had a knife handy, and he set to cutting in. As kids gathered around to see what treasure had been found, Jack sawed faster until a slip of the knife sank the blade into the bundle. Blood welled out from inside. He figured that meant they'd found something good; all kinds of farm goods were transported from the Brooklyn side of the river. It might be a side of fresh pork. "I'm going to see what's in there," he proclaimed, and dug harder into the ropes. As they fell aside, Jack peeled back the clean new oilcloth to reveal another layer: dirty and blackened burlap, tied with twine. Jack cut that away too, and found yet another layer, this one of dry, coarse brown paper. Annoyed, he yanked it off. And then, for an interminable moment, the gathered boys stopped dead still. The morgue driver finally arrived. He wrapped the cloth back around their gruesome find, tossed the whole package aboard his wagon, and trundled it away with a signal to his horse. The city had yet to buy its first horseless carriages; it had been only two years since the first one had been seen in New York, and they remained such a rare sight that Manhattan still hadn't even recorded its first auto fatality. Every other kind of fatality, though, ended up where this one did, fifteen blocks north in Midtown, at the morgue's squat brick building on Twenty-Sixth Street. They all came here: any skipping child struck by a dairy wagon, any organ grinder downed by apoplexy in the middle of Central Park, any wino found expired in a Bowery gutter, any sporting gentleman stabbed in a saloon. The Bellevue morgue was the haunt of the dead and the deadlined; newsmen were always around, because with about twenty unclaimed bodies a day thudding in — more during a good cold snap or a heat wave — you were always guaranteed some column inches for the late edition. Even before the latest heat wave, Bellevue had been especially rich in news; its old morgue keeper had been arrested after twentyseven years of illegally selling bodies to the local med schools at $5 a pop — selling so many, in fact, that he'd accumulated a $100,000 fortune on his morgue salary of $60 a month. The lowlier attendants were more cheaply bribed. A cigar or a pouch of shag tobacco would get a reporter the run of a windowless building some sixty by eighty feet wide, lined along one side with marble slabs, the other with chest-high tiers of cooled body drawers. To wander through this library of corpses was a dubious privilege. The dead room's only respite from the gloom came from a single skylight, and the occasional nudge from a resident tomcat. There were no fans, and flies buzzed constantly over the marble slabs where the latest deliveries reposed naked, awaiting identification. A thin mist of icy water was kept running over the slabs in an ineffectual attempt to keep the bodies fresh and to shoo the flies away. The effect was that of a dark, dripping cave filled with the broken bodies of Manhattan. It was, by universal assent, the most miserable place in the city. Worst of all were the mangled and bloated remains of bridge jumpers and failed swimmers pulled daily from the river. "That horrible place — God!" novelist Theodore Dreiser would later recall of his days there as a World reporter. "Daily from the everflowing waters of New York there were recaptured and washed up in all stages and degrees of decomposition the flotsam and jetsam of the great city — its offal, its victims, its what?" The who and what were always the questions for these nameless corpses. But the source of the oilcloth-covered bundle that had arrived that evening was not so hard to guess at. "Medical students," an attendant seconded, noting its arrival in the ledger. Probably cut from one of their own bodies here in the morgue, maybe off a cadaver sold just a day or two earlier. Well, now whoever it was had come back. They'd wait the obligatory seventy-two hours, of course, and then send it on to the coffin room, where another attendant hammered together cheap plank boxes. Anyone left unclaimed for three days went there — the body photographed, the clothes stored for laggardly friends or relatives to make a later identification, any money or jewelry on the body quietly pocketed — and then the newly filled coffins were disgorged out the back of the building onto the pier. Each day a dead-boat pulled up for a final stygian journey up the East River to a waiting trench in the potter's field on Hart Island. That, no doubt, is where this misbegotten parcel would go, and nobody would ever hear of it again. By the time Bellevue superintendent Dr. Thomas Murphy and city medical examiner Dr. George Dow arrived on their evening rounds, there were reporters from the World, the Herald, and the Evening Telegram all gathered in the morgue, waiting for their day's quota of Dreadful Cases and Awful Tragedies. They'd already gotten a good one out of Bellevue that day when Diamond Jim Brady forcibly checked his mother in to the insane ward next door. But the reporters could always hope for more, and as the two doctors made their obligatory check of the day's casualties, they froze before the river parcel, exchanging significant looks. 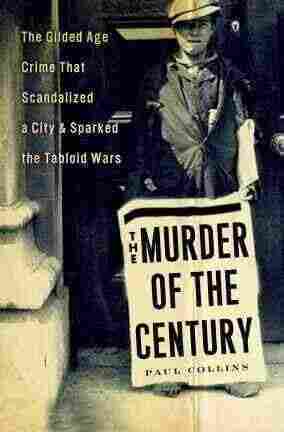 From The Murder of the Century: The Gilded Age Crime That Scandalized a City & Sparked the Tabloid Wars, by Paul Collins. Copyright 2011 by Paul Collins. Reprinted by Permission of Crown Publishers, an imprint of the Crown Publishing Group, a division of Random House Inc., New York. All rights reserved.